In deep need to recharge: Working on bike cont. 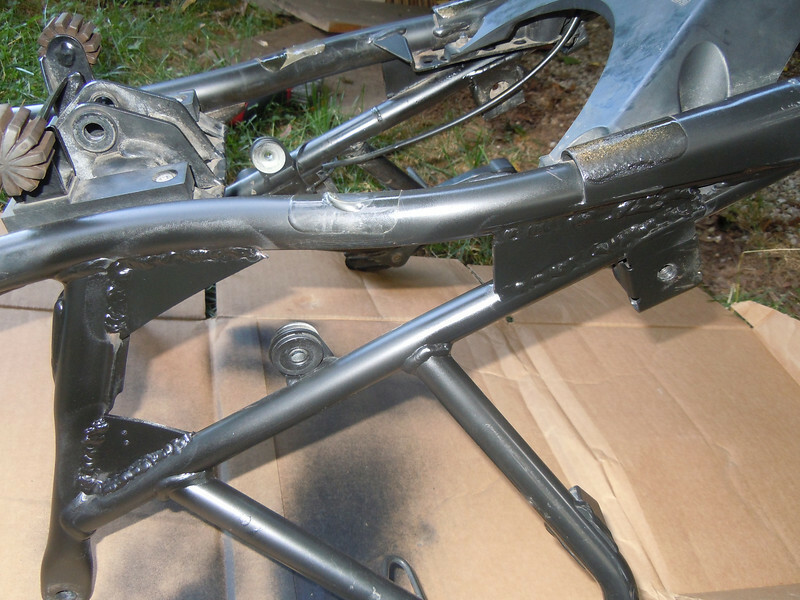 OK I got the parts from BMW so I can start working on my bike again, it feels like I haven't touch that beast in ages. 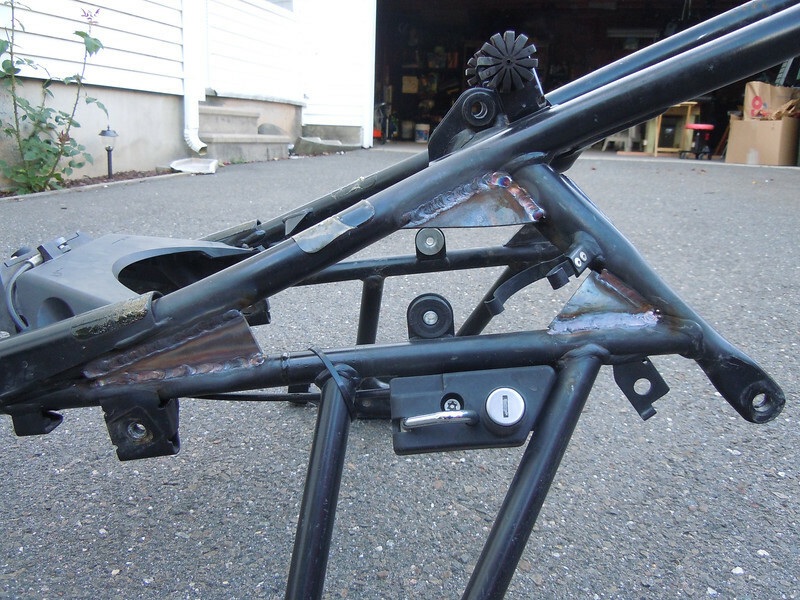 One of the modifications I did to the frame is welded some support triangles, not to change the stress point but rather support it as much as it can so the inserts are thin and weld is only on the outside.